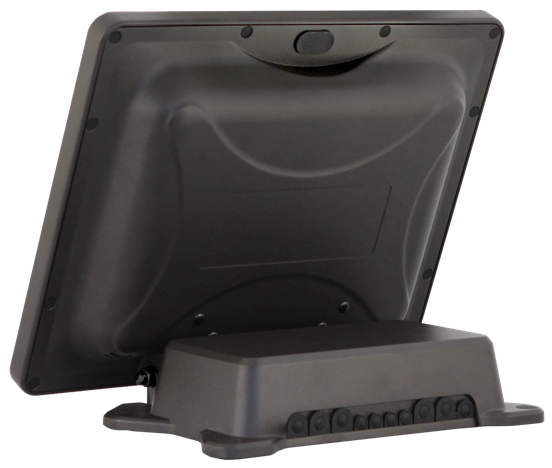 A unique, compact and industrial POS "All-in-One" (Mini) Touch Screen Terminal PC System that is built for the harshest of conditions, featuring an aluminum die cast casing and a ventless design. Ideal for harsh industrial and retail sites where liquid spills, dust and very harsh operating conditions are common. It has a certified IP66 rating for dust and water proof. The definition of an IP66 rating is as follows: Dust - "Totally protected against dust" & Water - "Protected against temporary flooding of water, e.g. for use on ship decks - limited ingress permitted". The Touch Screen Terminal - Industrial (Mini) has a 10.4" TFT LCD Display with a screen tilt mechanism to provide optimal viewing angle. 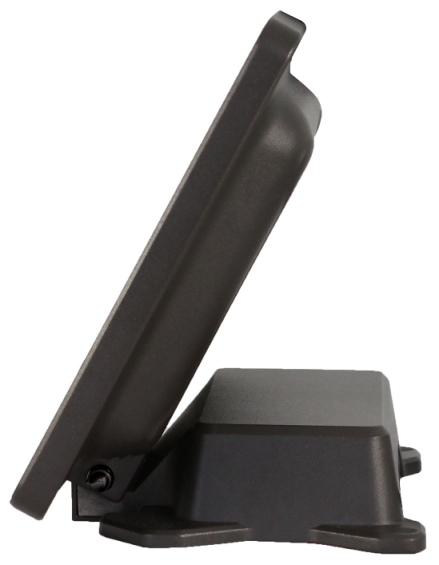 It comes standard with a internal power supply, VESA (wall or pole) mount capability and has a ventless & fanless design. Magnetic Card Reader, RFID Reader, Additional Comms (Serial) Ports, Counter Top or Wall Mount options, Wireless LAN, Internal Bluetooth, Upgrade to 64 GB Solid State Hard Drive. When ordering, you can select from a variety of combinations relating to the pre-installed Operating System. PROSPA PAY Buy over 13 weekly payments of $ 145.38 (ex. GST). No Interest ever and No Fees if you pay on time. Contact Prospa Pay online at PROSPA PAY or call 1300 706 983 for a simple over the phone application. No obligation. SILVER CHEF Rent-Try-Buy. Rent from $ 23.99 (ex. GST) per week for a minimum of 12 months before you decide to either Buy (with 75% of prepaid rental being deducted from the original cash price), Upgrade or Return at no further obligation. Apply online at SILVER CHEF or call 1800 337 153 for a simple over the phone application. No obligation.